Liver is the patient organ. When it becomes considerably worse, symptoms are appearing for the first time. The blood data is similar. When you have subjective symptoms and blood datas are worse on liver function, your liver function have considerable worse. It is called that liver diseases are “silent killer”. Liver is damaged by active oxygen, inflamed, it will be in the state of hepatitisWhen hepatitis comes to worse,it proceeds to liver cirrhosis and sometimes become liver cancer. First of all,note GOT(AST) and GPT(ALT) in blood datas. In the case of acute hepatitis(early stage),these rise sharply and become down slightly in chronic hepatitis. In the case of liver cirrhosis and liver cancer,those seem to be as same as normal values.It is most dangerous thing to trust that liver becomes good from this reason to maintain normal values of GOT and GPT. Because it might proceed to liver cirrhosis and liver cancer. We are not only the GOT and GPT, but will need to pay attention to the other blood datas. 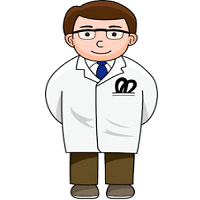 The function of all the organs(liver,heart,lung,pancreas and kidny) decline gradually with age. The cells of the organ becomes inflamed and hard.The organ failure fall into and human activity will stop. Fibrosis of the lungs caused interstitial pneumonia, Fibrosis of the kidney renal failure, hardening of the arteries in the fibrosis of the blood vessels, Fibrosis of the heart cause myocardial infarction,such as these,it is no doubt proceed aging on fibrosis of the organs. As a result,it is important thing to prevent fibrosis from the usual. 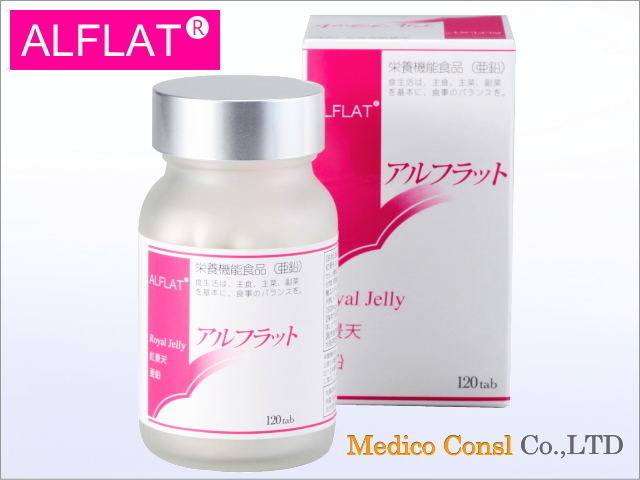 ALFLAT® is made from Zinc and Selenium mainly.It deletes the active oxygen and suppresses liver fibrosis. 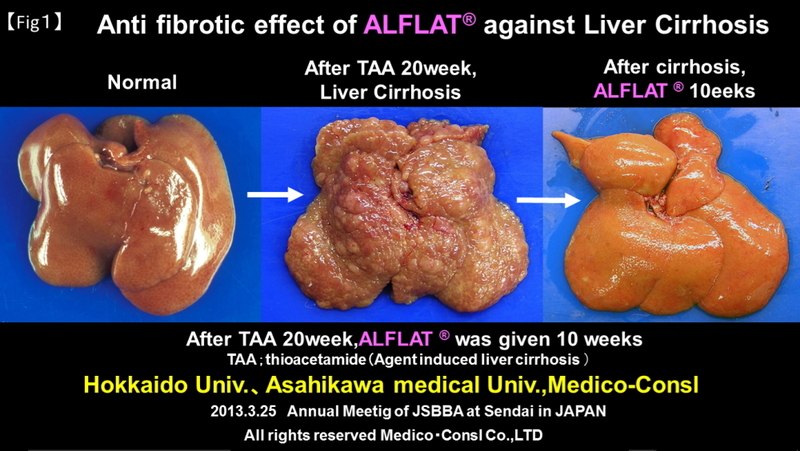 Hokkaido University and Asahikawa Medical University and the Medico-Consul indicate the results of the research which was conducted jointly.Make liver cirrhosis rats(confirmed fibrosis). After that,we gave feed including ALFLAT® for 10 weeks. It was very surprised that fibrosis decreased and improved liver cirrhosis. It has been patented that zinc formulation is already suppressing the liver fibrosis. We have compared the ALFLAT® and zinc formulation. 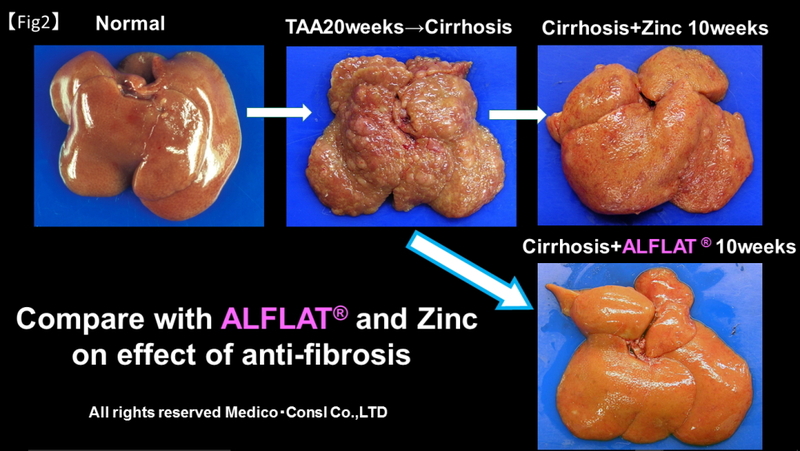 Obviously ALFLAT® decreased fibrosis than zinc formulation and improveed liver cirrhosis. Medical drugs directly decrease liver fibrosis have been not approval in public and private insurance at present. Pharmaceutical companies around the world have researched desperately, but it seems quite difficult and not yet been realized. So it is important thing to remove the active oxygen and stresses for middle and elderly aged people have not occurred liver fibrosis. Zinc and selenium as components of ALFLAT® suppress liver fibrosis and the international patent has been already applied. So, if you’re showing that Alfat helps with liver cirrhosis then why are you showing livers that have been taken out of a body? That would mean they died.